I recently delivered a leadership programme in Stockholm in which we had people from fourteen different countries. Almost all of them had to manage what we call “Remote Teams” in which the members are spread all over the globe. We did an activity that required the participants to analyse deeply what really worked for them when it came to building these teams. The results were interesting. There are tools available to help managers work with their teams on these three things and yet most managers underestimate their importance and thus pay the price. 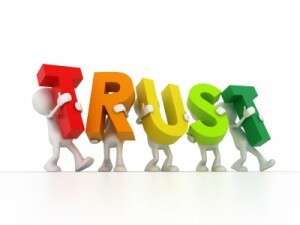 Perhaps this is one of the differences between managers and leaders, leaders intrinsically understand the importance of building trust, they know that trust is the oil that makes the team engine work. It may not feel comfortable for managers to put these things on the table, to generate meaningful conversations between team members around these themes, it is not as concrete or as rational as, for example, setting objectives, but it is what builds trust, and teams that have trust go far.